Having a little problem with the layout. The window is in the way. On the driver side the vent is in the way (yellow in rendering). 'What we going to do?' No room for logo as designed. Working on new layout. Will send a quick rendering in a few minutes. Probably will need your imput. Possible changes: Same stripe, but have it flow (without interruption) across the bottom half (this way it will look like it fits). 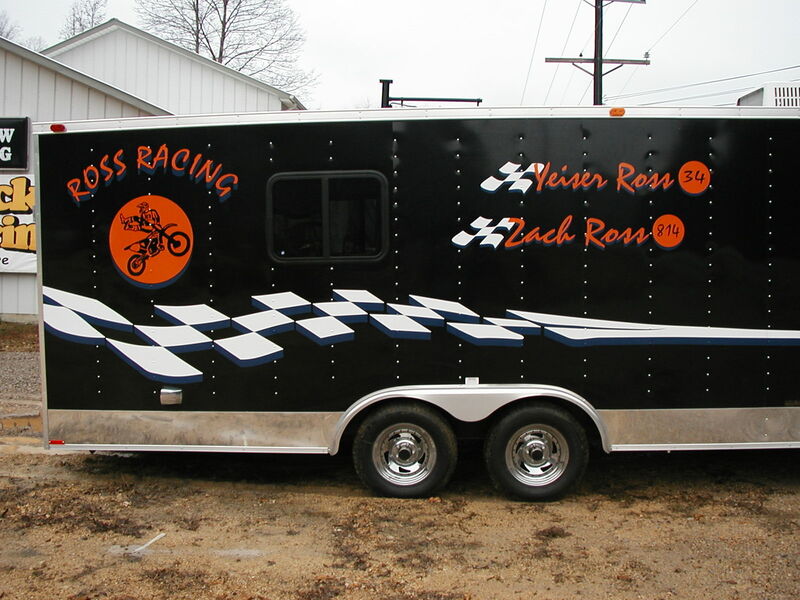 Tie in the winning race flag scheme into the ross racing logo. It takes a while to add the blue trim. Wanted to make sure I'm not barking up the wrong tree first. 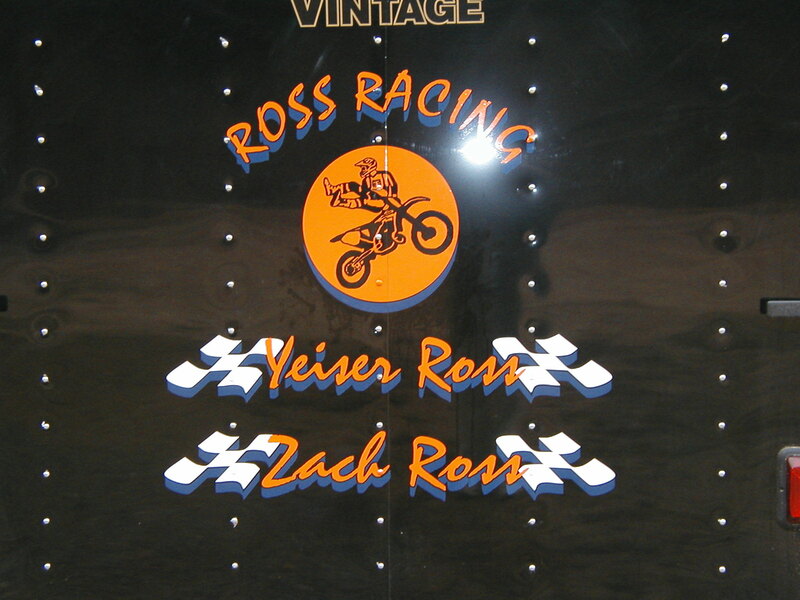 But it can be added to both the new ross racing logo. Attached also are some other flags that good be used within the logo. I like the one I used for its abstractness (like the stripe). Let's ditch the outline stripe and add a little more of a sweep. Attached you will your final layout. Also the color correction to green and pink/purple. Just kidding.